Sue Partridge has clocked up 28 years as an engineer and never had any intention of becoming one of the estimated 22,000 qualified women who fail to reappear in the sector after a career or maternity break. This worrying statistic reveals a valuable resource which will need to be tapped into as the skills gap grows. Inspired by an uncle and with high marks in maths and science at school, Sue wanted to be an engineer from a very young age; her parents’ encouragement meant she achieved her dream. Her career was progressing well when her daughter was born in 2004. She returned part-time until her son arrived in 2008. She came back part time again before resuming a full-time role when her youngest went to school. 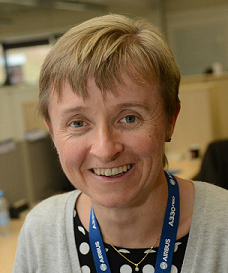 She now leads a multi-national team at Airbus as Head of the Wing of Tomorrow programme. Sue believes that women who do make it into senior roles are incredibly motivated simply because they have had to work hard to succeed in their chosen career. “You do need a flexible and supportive employer that supports women during their maternity leave, if they choose to come back part time and then if they want to go full-time again. She believes more women would return to engineering if other employers were as adaptable. “As your children grow up your needs and circumstances change so you can alter your work life. “Flexibility needs to work both ways. An employer should understand that there might be times when you need to go to your child’s school, but in return you accept there could be some unsociable business travel or a meeting late in the day. Sue now mentors other women within Airbus and urges them to have discussions with their bosses before they begin maternity leave. Sue’s mind was always set on returning to the job she loves but she accepts that women have different needs and motivations when it comes to continuing their engineering career. Read more stories about Women In Engineering.